You’ll get a better deal if you lease to own a car than if you buy a unit outright in one of the most expensive cities in the world. Being a small country, the Singapore Government, through the Land Transport Authority (LTA), has imposed a limitation on car ownership to ease off traffic congestion. Buying a car in Singapore therefore comes with high taxes, and owning one is deemed a privilege. However, you can still enjoy the comforts of having a car in Singapore when you find a good lease to own deal. Leasing a car allows you to drive your preferred vehicle, just like if you were to actually buy one. In this program, however, it’s the bank or leasing company that owns the car you drive until you have successfully paid off the terms. You initially pay a minimal deposit of about 5 to 10 per cent of the car’s total cost compared to the hefty 40 to 50 per cent down payment that you would normally pay if you’ve bought a car in Singapore. Once you’ve completed the car leasing contract, the vehicle will be turned over to you as its lawful and full owner. In most cases, the duration of the car lease contract ends in five years. You have equity in the car you’re driving in a Lease To Own car plan. If you’re only leasing for a shorter term, such as one to three years, you have to return the car to the company after the contract ends. At Asia Carz we offer lease to own terms for all brand new cars for five to seven years. Based on the nature of long-term leases, we will be able to offer you better rates than short-term rentals. Asia Carz has a minimum requirement from individuals who want to enter in our Lease To Own car program. You should be at least 21 years old. You should have been driving for a minimum of two years. You must be Singaporean or a Singapore PR (Permanent Resident). Discuss your options with an Asia Carz agent for the car of your choice. Present your valid identification cards to get your application started, and then pay the required deposit. Your vehicle will be delivered to you when everything is in order. After which, you can enjoy the convenience of the car, as well as start paying the fees regularly. A full service car leasing contract includes regular maintenance and tune-ups, as well as roadside assistance during car troubles. Asia Carz may also provide you with a replacement vehicle when your car is under schedule for maintenance and repair. 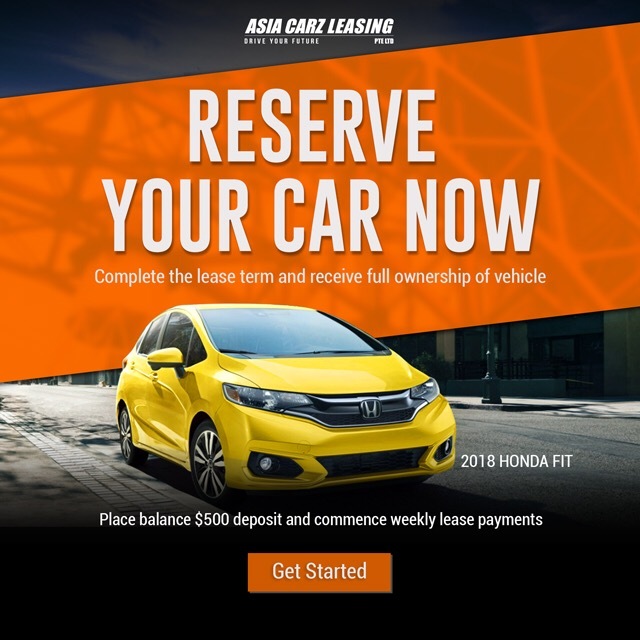 Car leasing with Asia Carz eliminates the hassle of typical administrative tasks when you own a car, such as insurance and road tax renewals, as well as the handling of traffic offence, if any. Contact us for a quote and we will get back to you to discuss your options.